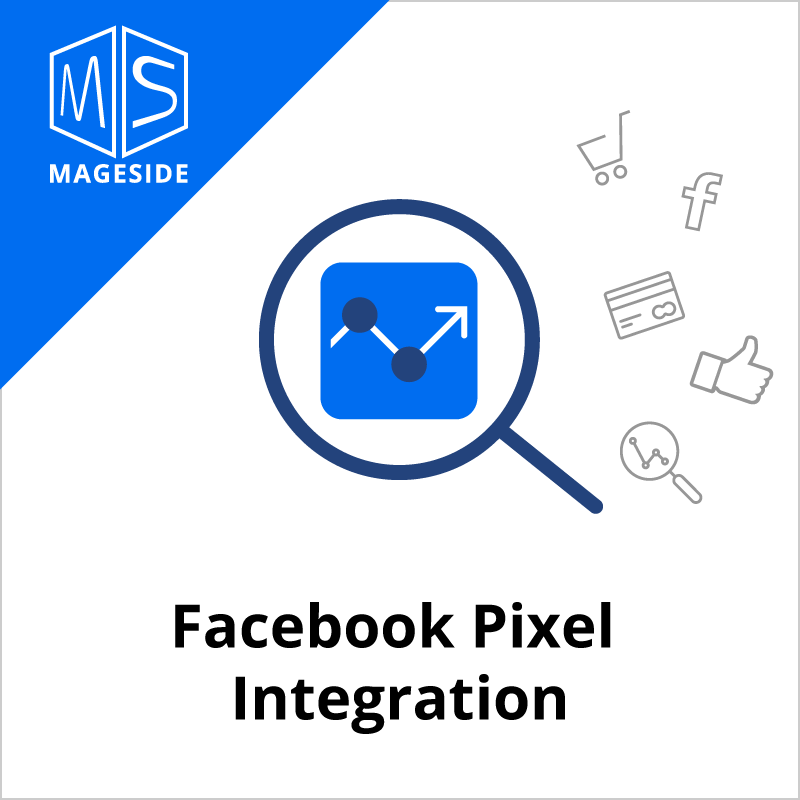 If you have a Facebook business account and advertise on Facebook, we’d like to offer you a great extension Facebook Pixel. 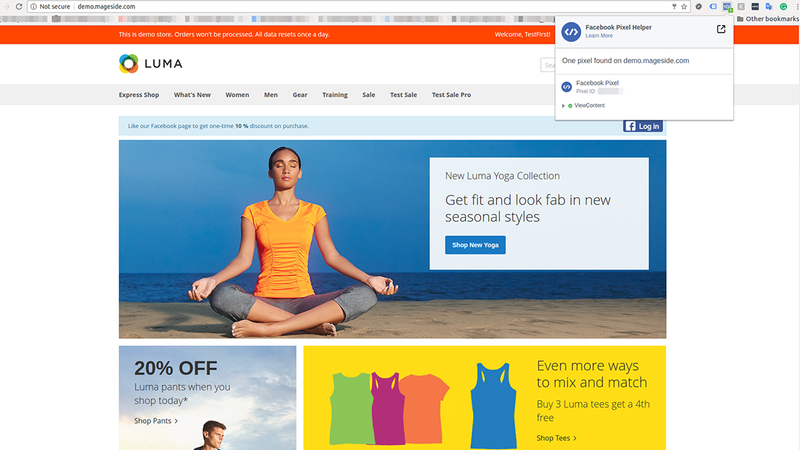 Maybe you know that Facebook gives the ability to implement a Tracking Pixel on the Frontend of your webstore. We created the Facebook Pixel extension which allows you to track which page your shop’s visitor visits, which product he purchases, which products he adds to wishlist etc. The module will add Facebook Tracking Pixel to your webstore and will track all actions that Facebook offers. The plugin will place a tracker on the frontend and shows necessary data to your Facebook Business account. The Facebook Pixel tracks when a visitor adds a product to the shopping cart, when he adds a new account, logins as a customer, what products a customer adds to wishlist etc. 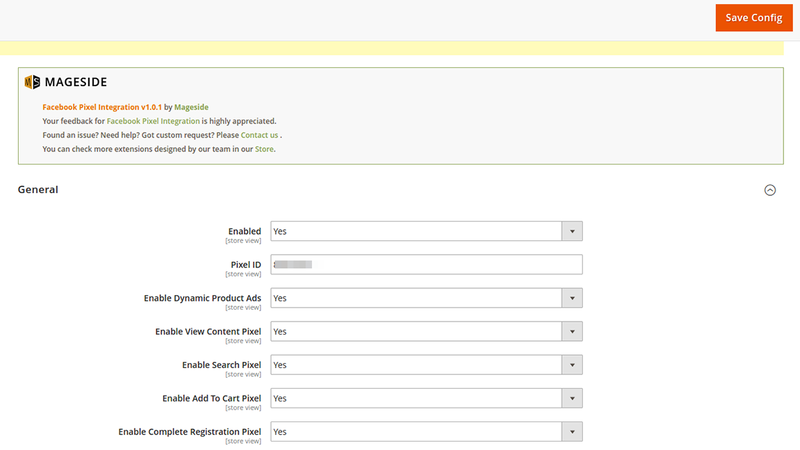 Allows you to track what product a customer sees. Provides detailed information as SKU’s, price, a name of a product, value, currency. Once a customer searched a specific product, the information about that will be provided to Facebook. A customer adds to shopping cart a product and you will be provided detailed product information such as value, product’s ID, currency, product’s name. 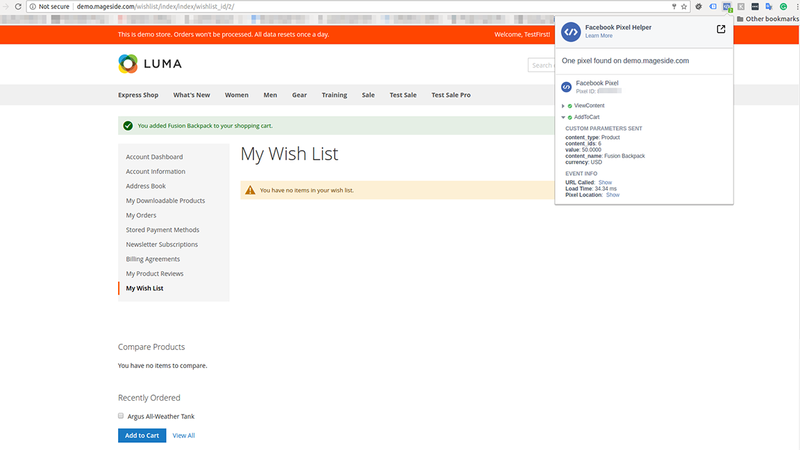 Shows what products were added to a wishlist by a customer. Track when a customer committed a complete registration on your website. 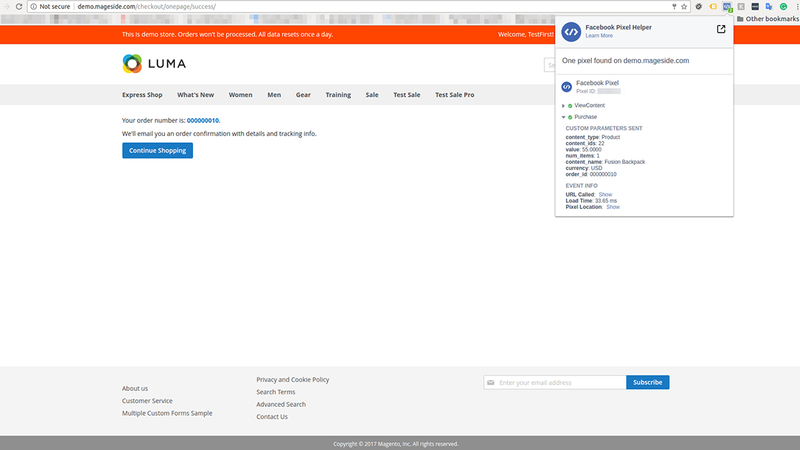 It’s up to you what Facebook pixel trackers to enable or disable on your website. 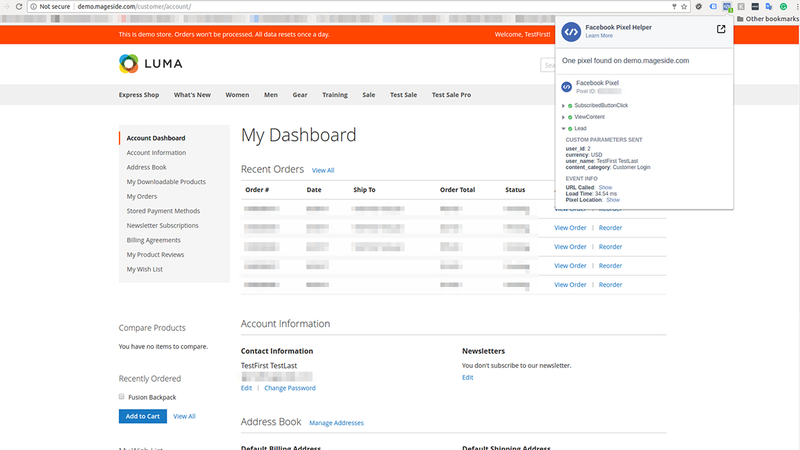 Enabling login pixel allows you to track when a customer logins to your webshop. 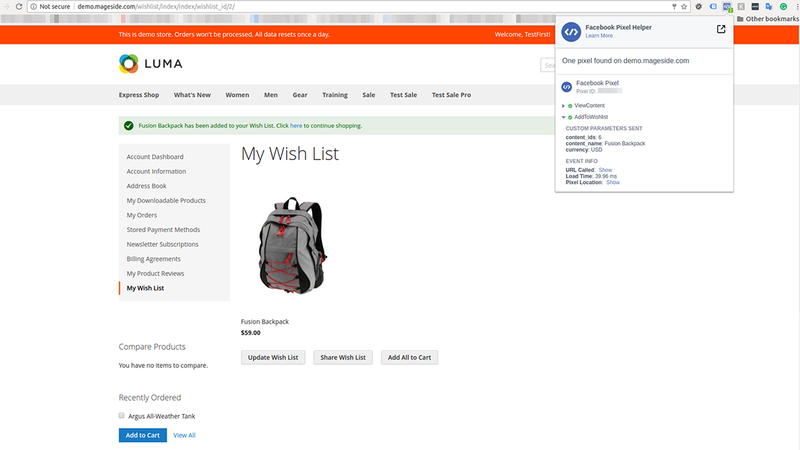 Allows you to track what products a customer purchased, order ID, product’s name etc.